Sometimes you see a collection of patterns for the first time and fall in love with each and every one. That's what happened to me (and probably what will happen to you) when I first laid eyes 'North' by the wonderful Kim Hargreaves. This collection is a gorgeous showcase of contemporary tweeds, cozy cables and jewel colored arans. I loved diving into all the darks and neutrals to find those exciting brights thrown in – little dashes of orange, pink, blue, chartreuse and yellow amongst oceans of navy and stormy gray. I'm a fan. Take a look. 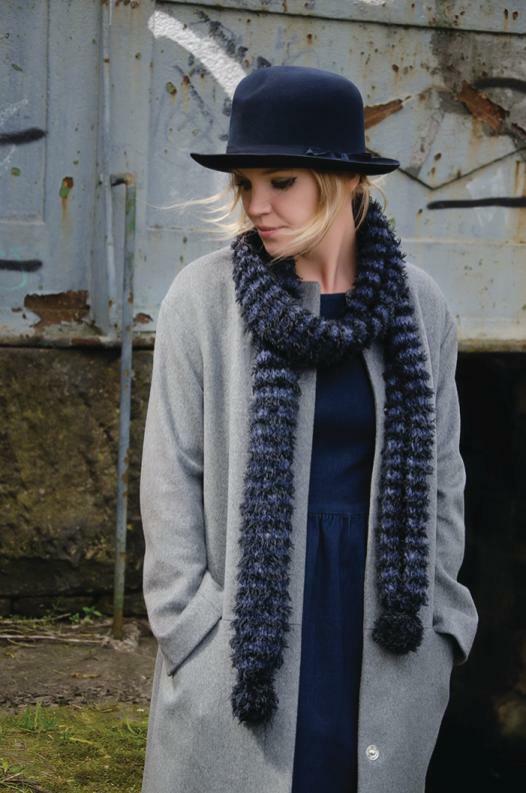 This collection includes a whopping 21 designs using Rowan Felted Tweed DK, Kid Classic, Kidsilk Haze, Fine Lace, Rowan Finest, Lima, Fur, Brushed Fleece, Mohair Haze, Cocoon and Felted Tweed Aran. Honestly. What more could you ask for? North is available now from Rowan stockists and you can check out the details for each pattern right here. I love everything! That pink cabled cardigan is amazing!! !